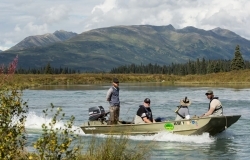 Alaska Day Fishing Trips from Anchorage with Regal Air will get you into the fishing action after a quick scenic flight from Anchorage. 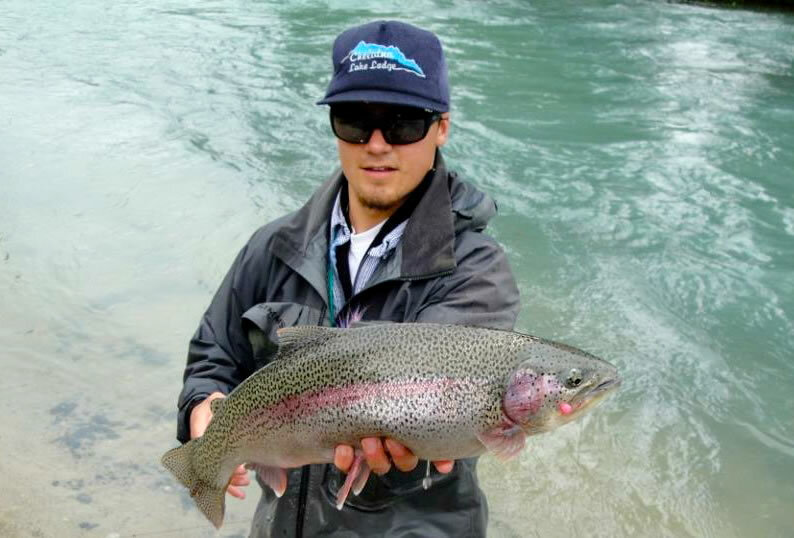 Whatever your comfort level and whatever fishing gear you have, Regal Air can accommodate you, and give you the best day of fishing you will ever have. 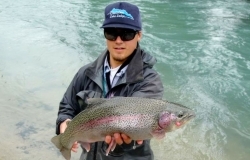 Whether you want to go unguided or fully guided, have your own equipment or need full outfitting, we have guides, gear, and destinations for whatever you are looking for. 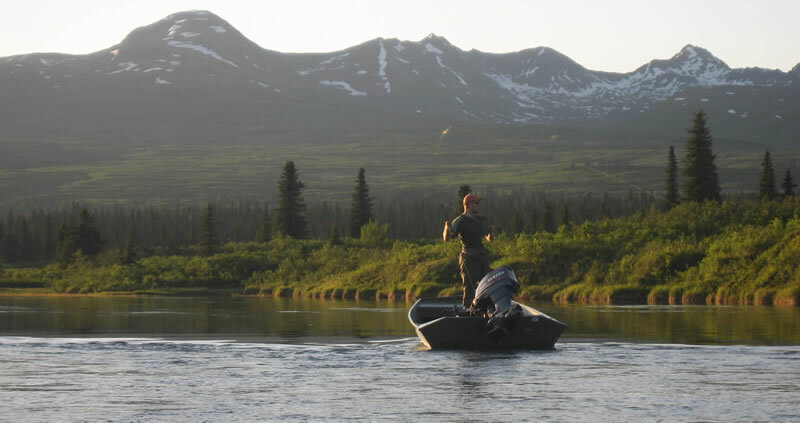 Imagine leaving your hotel in downtown Anchorage with nothing but the clothes on your back, and by 9:00 am you are standing in a remote Alaskan river pulling in our various species of fish. 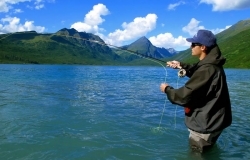 Regal Air’s Lake Creek Lodge fishing package brings you the best remote fly-out day fishing package imaginable. 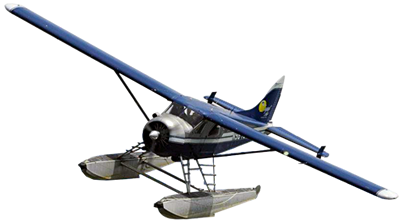 Take off via seaplane from Anchorage’s floatplane base, Lake Hood. 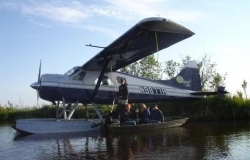 As you fly North West across Cook Inlet, you will see the almost immediate transition from gazing upon a gorgeous view of downtown Anchorage to looking for bears and moose in the Alaskan backcountry. 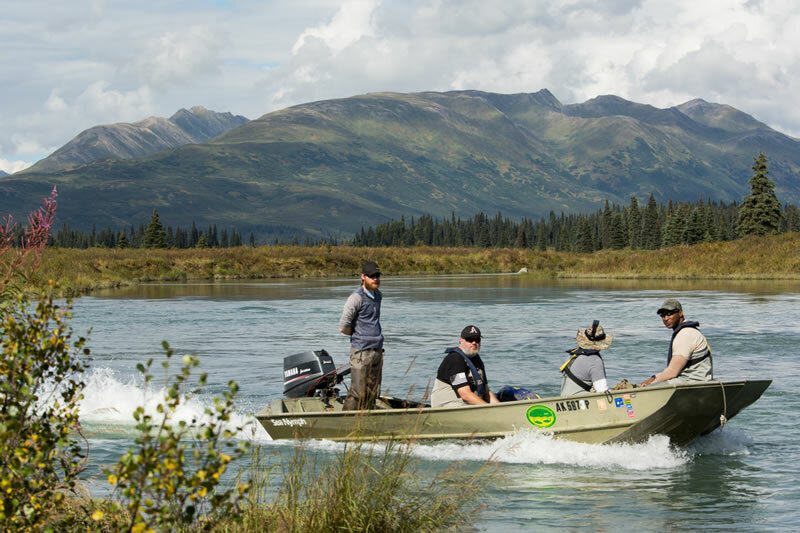 From there you will fly along some of the Matanuska Valley’s most impressive rivers; The Susitna River, the Yentna River, and the Kahiltna River. 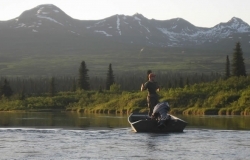 When you reach the confluence of the Yentna River and the crystal clear riverbed of Lake Creek, You will land in the river and taxi up to the dock of beautiful Lake Creek Lodge. Now it is time to fish! 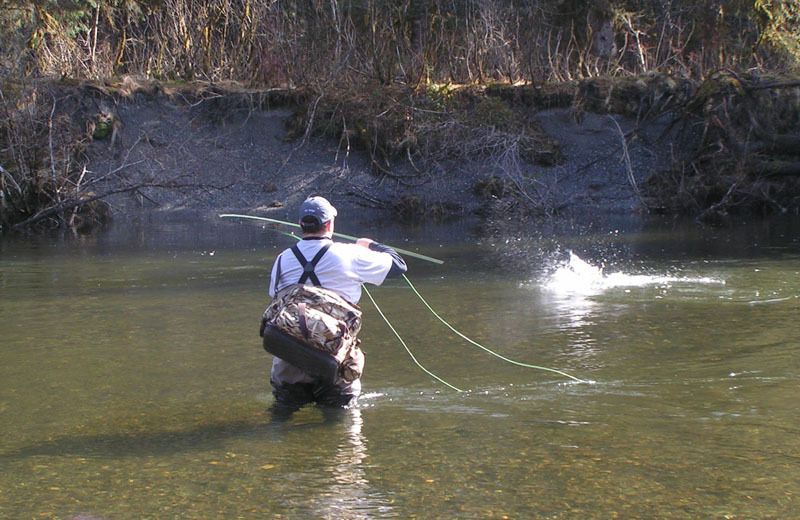 Once you are well fed and geared up to tackle the river, you will travel to your fishing destination via jet boat. 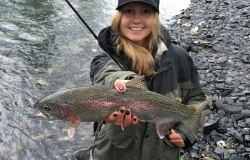 There in the clear waters of Lake Creek you will fish for the remainder of the day, with a break for lunch provided by Lake Creek Lodge. 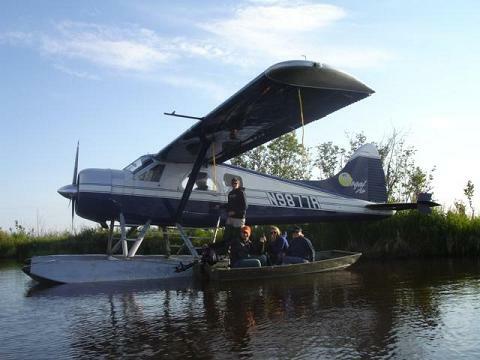 Departure: At 5:00 your floatplane will land back on the river ready to take you home. 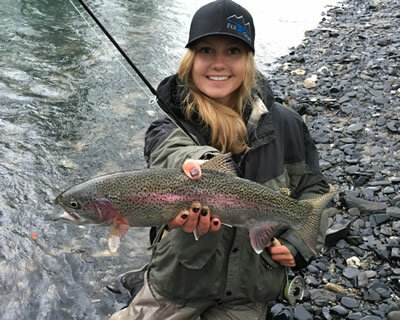 By 5:30 you are already landing back in Anchorage ready to tell your new fishing stories at that nights dinner. 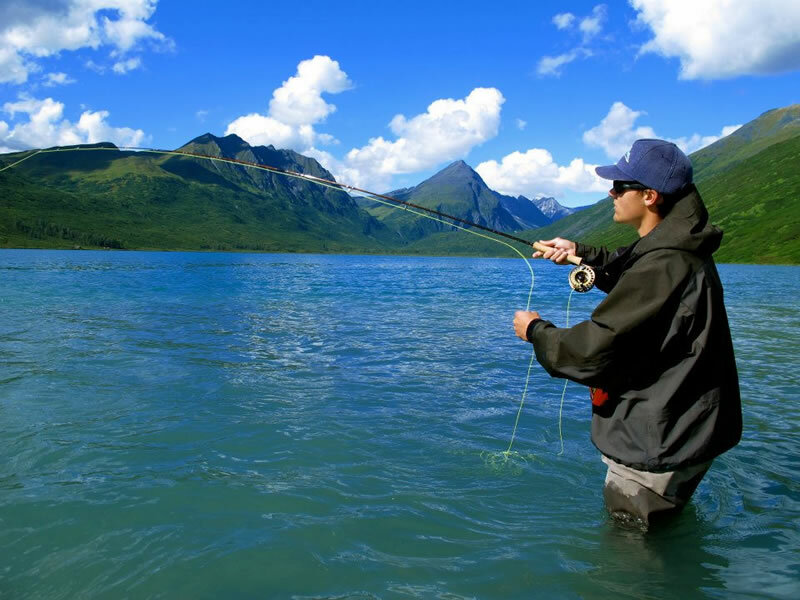 Leave the shoulder to shoulder combat fishing behind and go on a fishing trip in style with Regal Air! 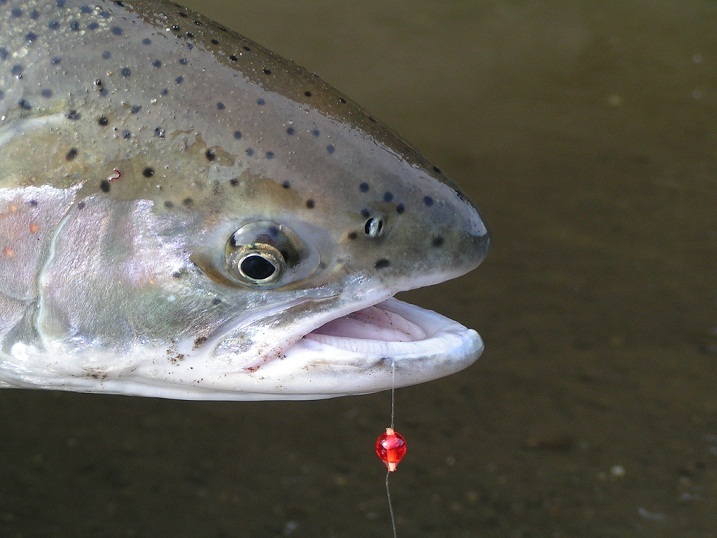 Lake Creek Lodge primarily targets Rainbow Trout, Grayling, Northern Pike, Coho (Silver) Salmon, and Sockeye (Red) Salmon depending on the time of the year. We can get you into the best streams to make sure you get your fill of these Alaskan treasures. 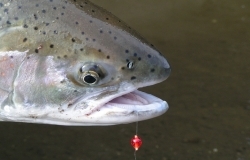 Click on thumbnail to bring up larger image.